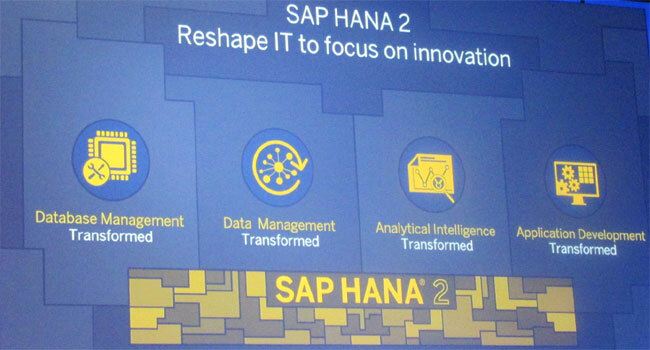 SAP SE declared an announcement regarding the launch of the SAP HANA 2 platform that improvises on the in-memory computing system of the SAP to render a new foundation for the transformation of the digital world. Furthermore, one can avail the new SAP HANA micro services by subscription via the SAP Hybris Service marketplace to boost innovation by combining rich insights with modern applications. “SAP pioneered in-memory computing with the launch of SAP HANA in 2010 and throughout our journey we have driven breakthrough innovation on a highly stable core data platform for our customers,” said Bernd Leukert, member of the executive board, Products and Innovation, SAP SE. SAP HANA 2 released on November 30, 2016 and the new edition would be available for delivery shortly in order to help organizations inaugurate new development projects. 1.Management of database- IT companies would be able to offer business continuity with administration enhancements, workload management, security and high availability. For instance, the newly developed read-enabled option allows IT firms to focus on secondary systems which were formerly used for the purpose of system replication. 2.Management of data- Business, irrespective of its location needs to focus on data to improve tiered storage, data quality, data integration and enterprise modeling. The new edition allows the IT companies to handle complex information and visualize the possible impact of the new technologies prior to their implementation. 3.Analytical intelligence- Developers are instilling a rich insight into their applications with the aid of amplified analytical processing engines to process streaming data, graph, spatial and text. For instance, new algorithms for regression, time series, association and classification have been added to the library of predictive analytics library for empowering data scientists to come up with new patterns and for the incorporation of machine learning to custom applications. 4.Development of Application- Developers are required to set up and utilize new generation application with enhanced functional abilities for the purpose of languages, development tools and application servers. A user of the cloud-based micro services that is powered by SAP HANA helps in the development of applications with analytical insight by the use of any development platform or a language. Earth Observation Analytical service (beta): Based on the Open Geospatial Consortium (OGC) EO-WCS standard and innovated jointly with the European Space Agency (ESA), this micro service performs the task of spatial processing by accessing data from the satellites.